Heaven's Portal with Jesus at the gate. 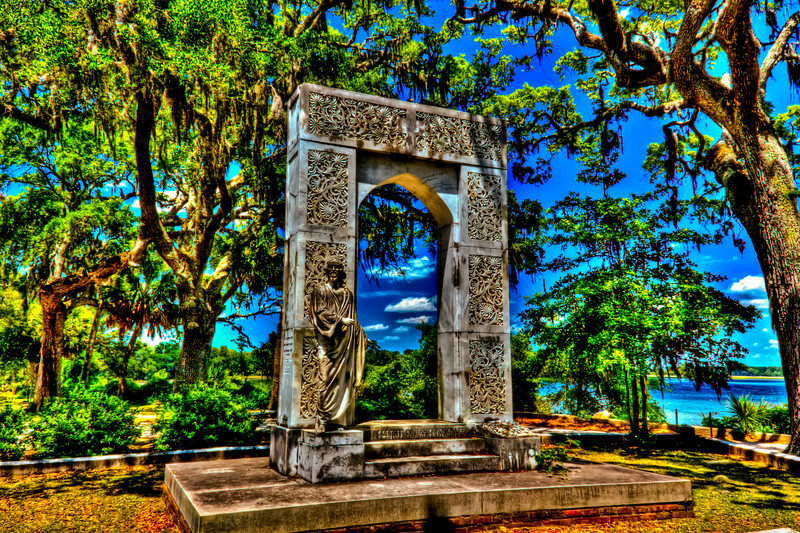 Bonaventure Cemetery Savannah Ga.. An arch monument signifies the passage to heaven..Brigadier General, CSA, Civil War. Gen. Lawton led a colorful career, graduating from West Point and Harvard Law School; serving in the Georgia legislature and on railroad boards. He performed distinguished duty in the Confederate quartermaster general's department. After the war he resumed politics, and was appointed US minister to Austria in 1887. only 3 shots +/- 2 AV.